We returned this morning from a 1.5 day trip with six bluefin, six yellowfin and one Dorado. 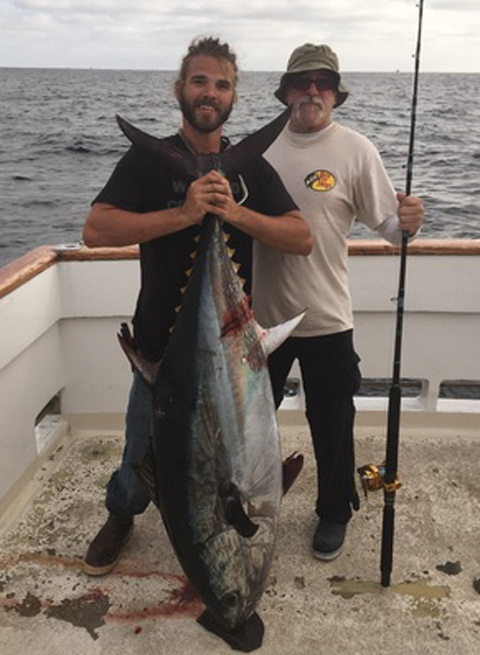 Four of the bluefin weighed in from 85 to 100 pounds with two more toads at 149.0 and 149.6. The Yellowfin were 50 to 70 pounds. We have another 1.5 day trip departing tonight at 9 PM that is a definite go with plenty of spots left. Please call 619-223-1627 for booking.